Helpful tips for the media, public information officers and law enforcement when responding to a boating accident. 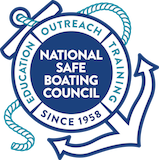 Here are helpful tips for the media, pubic information officers and law enforcement when responding to a boating accident. Case Studies	Accident response best practices.